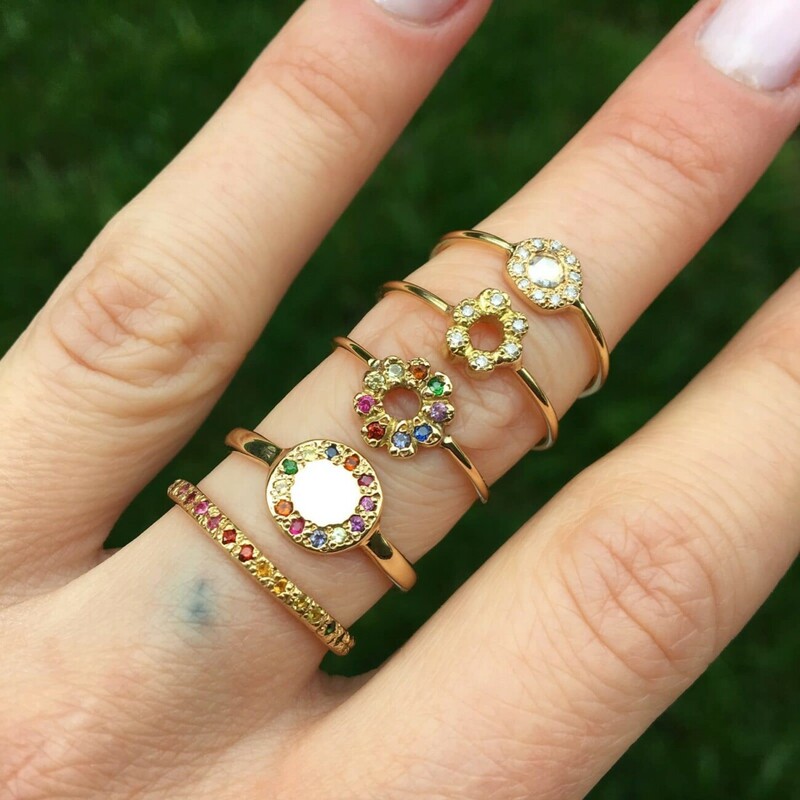 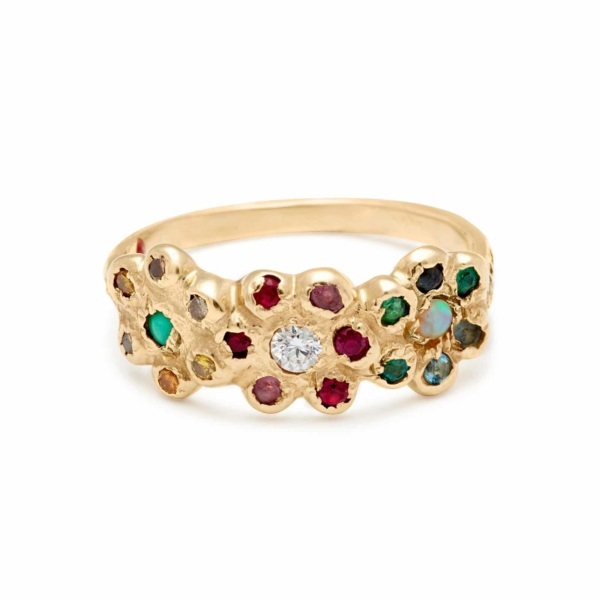 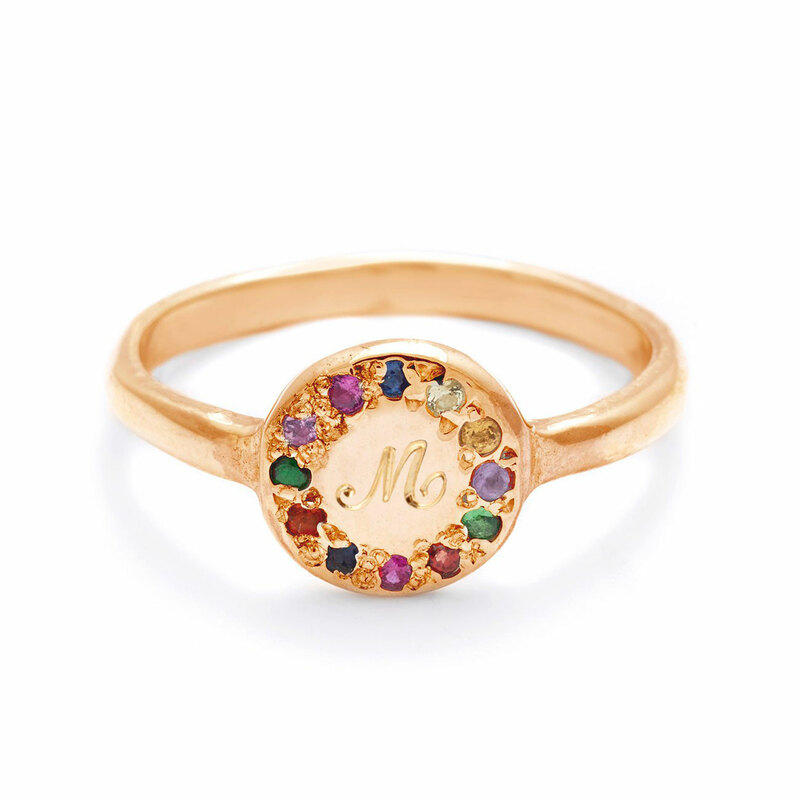 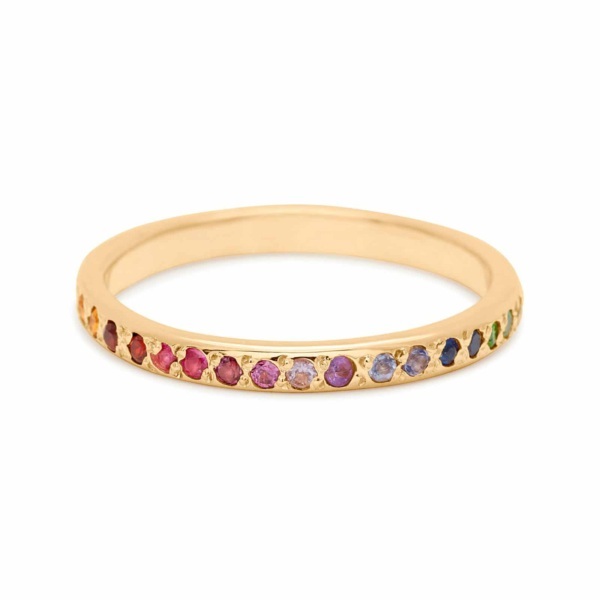 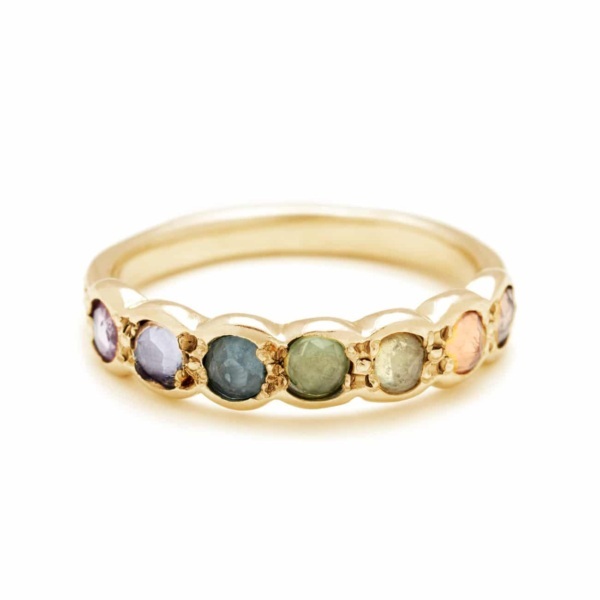 This classic signet disk ring is set with 1mm multicolor gems including garnet, citrine, yellow sapphire, peridot, tsavorite, blue sapphire, iolite, amethyst, rhodolite, and pink sapphire. 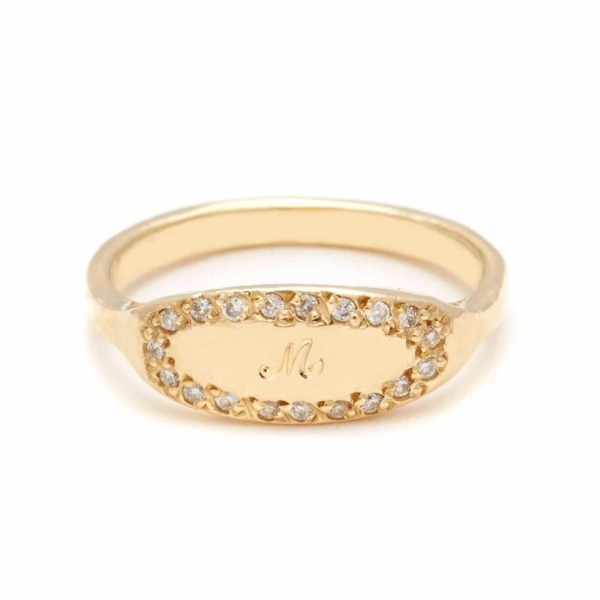 The center can be engraved with your or your loved one’s initial. Handcrafted by Elisa.